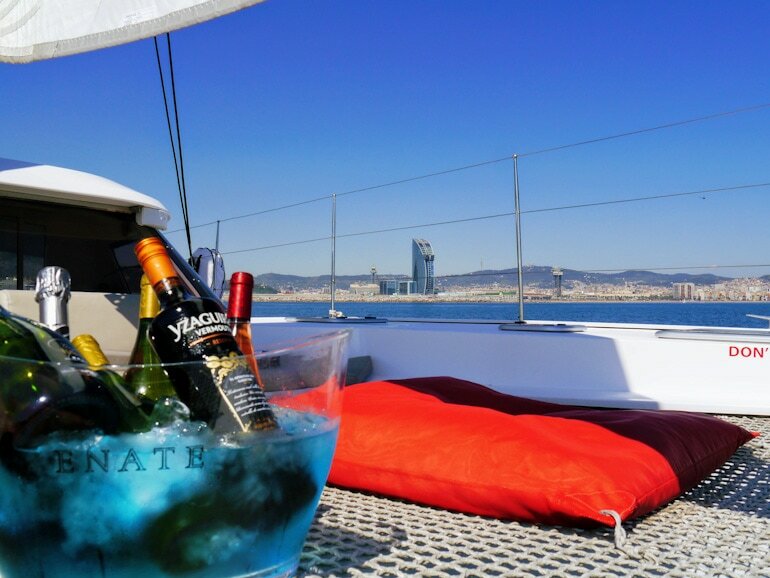 Experience sailing Barcelona on a beautiful yacht or catamaran, taking in the beautiful skyline with traditional drinks & aperitifs, before enjoying a locally-sourced lunch with wine in Barceloneta, the traditional fishermans quarter in Barcelona. It’s an afternoon of bliss and decadence, taking in the Mediterranean from both sides. The experience brings together the best of both worlds – the sea and the city. We sail from Port Olympico for around 1.5 hours starting with a welcome glass of chilled cava, Spain’s local sparkling wine. 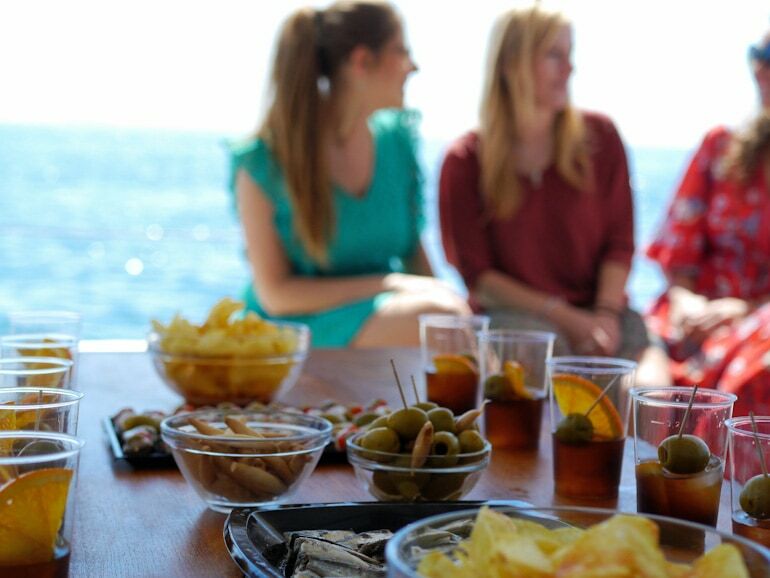 Once we are out of the marina and enjoying the beautiful views, we will do ‘la hora del vermut’. 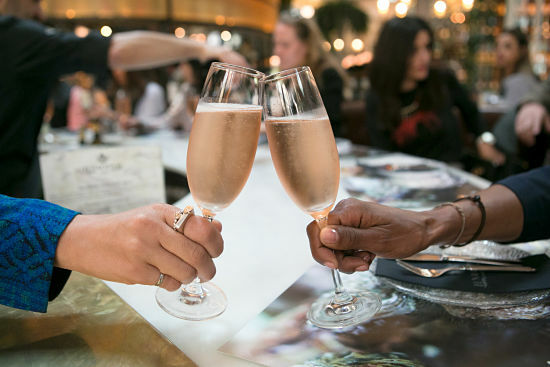 With drinks and snacks in hand, your friendly and passionate guide will share the story behind this truly loved drink and its evolution over the years. On hot, sunny days we invite our guests to take a dip in the crystal clear Mediterranean waters, or if they prefer, relax and take in the sun with the perfect music playlist on board. After our leisurely sail, we return to the marina to walk through the narrow alleyways of Barceloneta – the fisherman’s quarter of Barcelona. You’ll learn about the history of this neighborhood and the secrets of the barrio’s streets and its people. Working up our appetite, we end at a local restaurant that follows the ‘farm to table’ philosophy and indulge in a delicious 3 course meal. 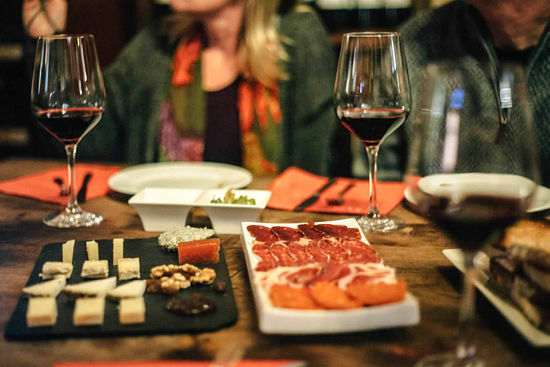 Our lunch starts with a selection of shared tapas that has its roots in this neighborhood. You’ll then enjoy a main course depending on your preference and mood, before sharing a fun and traditional dessert. Throughout lunch, we will share stories about the origin of the dishes and how the politics and traditions have shaped the food and culture today. It’s an afternoon of bliss and decadence, taking in the Mediterranean from both sides. 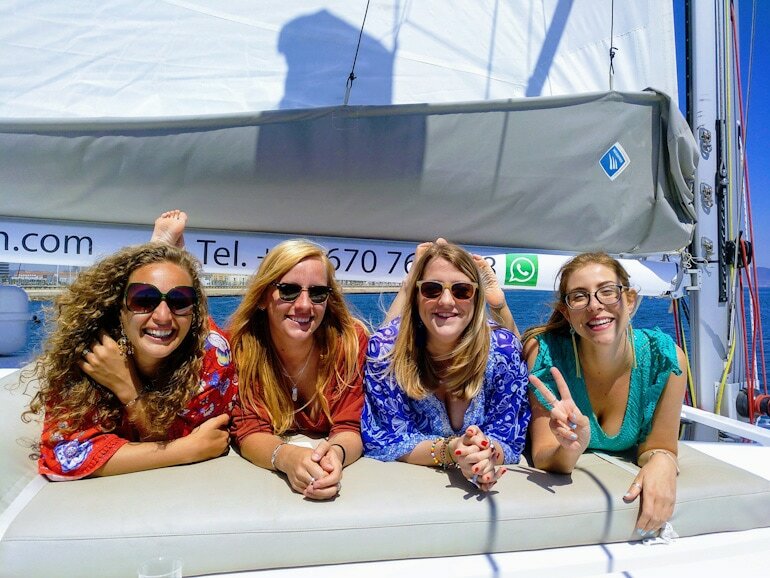 Join us today sailing Barcelona on our Sail To Lunch tour and enjoy the best of Barcelona! 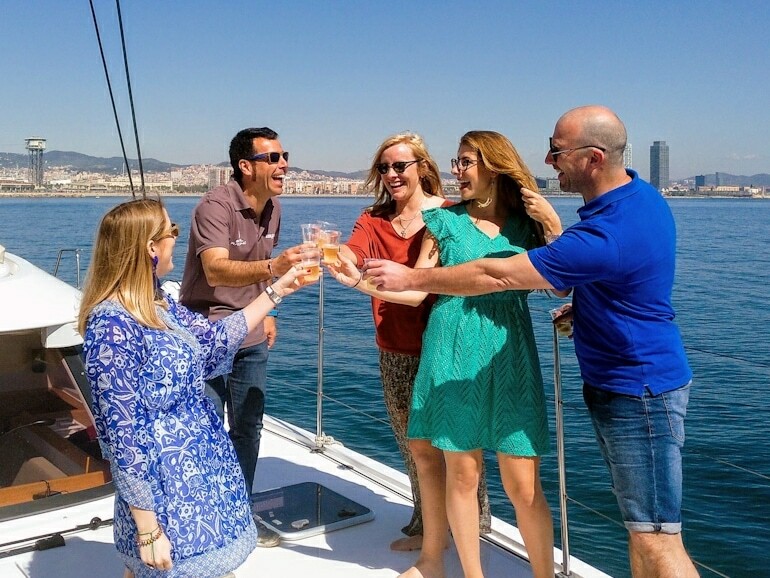 Experience sailing Barcelona on a beautiful yacht or catamaran, taking in the beautiful skyline with traditional drinks & aperitifs, before enjoying a locally sourced lunch with wine in Barceloneta, the traditional fishermans quarter in Barcelona. It’s an afternoon of bliss and decadence, taking in the Mediterranean from both sides. Starting at €740 inclusive for 2 people, with each additional person only €75. This includes all food and drinks (cava, wine, non-alcoholic) during the experience and Spanish 21% IVA tax. 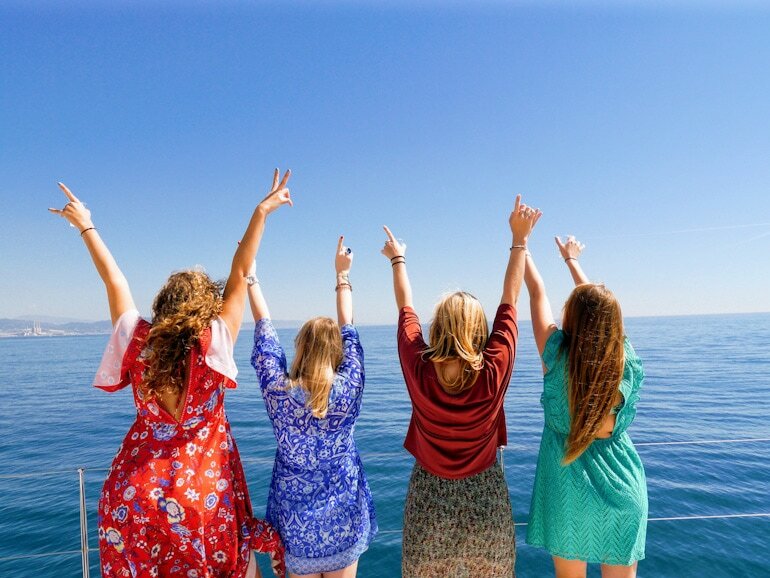 We sail for 1.5 – 2 hours along the Barcelona coast, soaking up the sun, eating & drinking traditional aperitifs with a quick stop for a swim in the crystal clear Mediterranean sea. Our final stop is a 3 course lunch in the fisherman’s quarter of Barceloneta. Sail To Lunch – Why walk to Lunch when you can Sail! 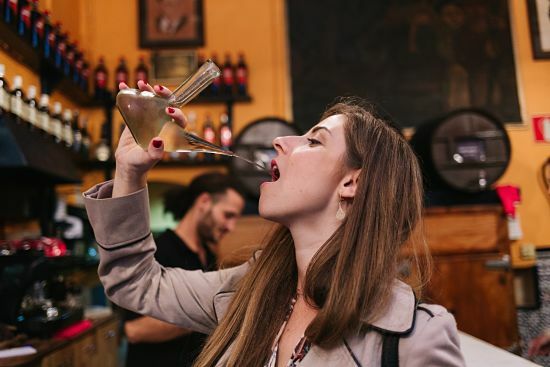 Experience sailing Barcelona on a beautiful yacht or catamaran, taking in the beautiful skyline with traditional drinks & aperitifs, before enjoying a locally-sourced lunch with wine in Barceloneta, the traditional fisherman’s quarter in Barcelona. It’s an afternoon of bliss and decadence, taking in the Mediterranean from both sides. Join us for 3 hours of local food, wine, stories & laughter!